The most effective product teams partner with customer experience professionals, ensuring that the voice of the customer is integrated at each stage in the process. Products are born to address a customer need, solve a customer problem, and create customer delight. Thematically, product innovation is all about the customer. Therefore, to launch, manage, and enhance products successfully, product teams must constantly consider their target customers. We find that the most effective product teams partner with their customer experience (CX) counterparts. This ensures that best practice CX strategies are implemented and that the voice of the customer (VoC) is integrated into each stage in the process. At Jabian, we have anchored our product management methodology to the four key functions: strategy, development, operations, and portfolio management. The first three functions are phases and are described as follows: During the strategy phase, the goal is to explore new product or feature ideas. Throughout the product development phase, cross-functional teams manage product scoping, planning, prioritization, build, and preparedness for launch. The final operations phase enables product delivery and product maintenance through product retirement. We view the fourth function, portfolio management, as the wrapper around strategy, development, and operations, or what is commonly referred to as the “product lifecycle.” Effective portfolio management activities occur throughout the entire product lifecycle. Those activities include reporting on and governance over the entire product catalog. A strong portfolio management discipline effectively incorporates insights (such as customer, product performance, sales, usage, and otherwise) throughout the product development lifecycle, from the initial product design through future enhancements. Finally, before we dive in, let’s pause here to quickly note that a “product” can be virtually anything—tangible consumer goods, a digital mobile app, a service, or a blend. There are many dimensions for defining what a “product” can be. For our purposes, we’d like to simply refer to “products” as something that solves a problem and brings value to a customer. Regardless of the kind of product you’re working on, we have found these customer-focused strategies should be considered. Now let’s explore what applying these customer-focused strategies may look like across the product management functions. We start by gaining insights—insights into customer needs, market conditions, the competitive landscape, and more. We use those insights to define product objectives that will be realized through product innovation. When they set product direction, the product teams must align to the overall business strategy, the market, and customer needs. From the very beginning, customer awareness is key. When exploring the value of introducing a new product idea into the marketplace, it’s common to review the potential product’s respective competitive landscape and create a business model canvas. While doing so, be sure to include target customers as a key consideration. Perform market research on your potential competition, while considering their target customers and how your product may provide a differentiated journey. As you get deeper into ideation, consider what a very high-level customer journey might look like; hypothesize your target customer market segments (distinct sets of customers, defined by various demographics, lines of business, etc. ); and brainstorm what your customer personas might be. 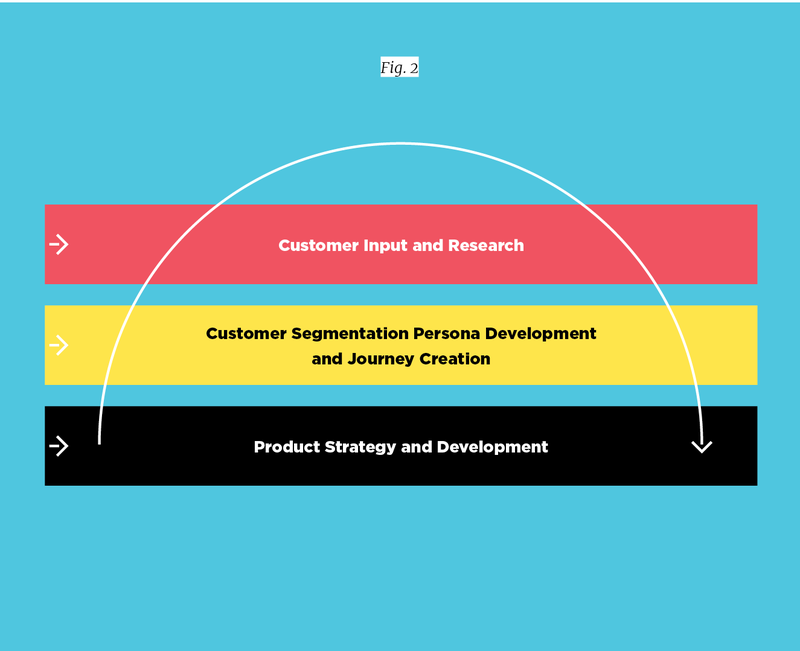 These are the fictional archetypes of your target B2C customer or B2B buyer, which includes segment definitions, but also personal traits, values, motivators, etc. Understand your customers’ desires by listening to your customers as a source for product ideas. For existing companies, provide an avenue for your customers to give suggestions on enhancements and new products through direct, voice-of-the-customer feedback loops. This will allow you to meet real-time demands and understand current gaps within your existing products. For a new company, you can interview target customers about your brainstormed product offerings. This will provide insight into the gaps that generally exist in the marketplace and let you know how receptive your target customers would be to the solution you plan to introduce. Test the waters. Obtain direct customer insight on your infant ideas. There are a variety of ways to do this, and at this stage, you want to limit the amount of effort you put into testing whether your idea is worth further development. If possible, we recommend creating extreme minimum viable products (MVPs) to test the appetite for the new product. For example, you can track clicks on or emails about new products from a “coming soon” information landing page. You can distribute and collect data from online surveys. You can perform light AB testing on pricing, concepts, and customer willingness to hypothetically purchase a product described by text or mockup visuals only. key questions about your product. At this stage, it’s crucial to use low-time and low-effort methods to weed through your options and obtain real customer feedback. A “product” can be virtually anything—tangible consumer goods, a digital mobile app, a service, or a blend. 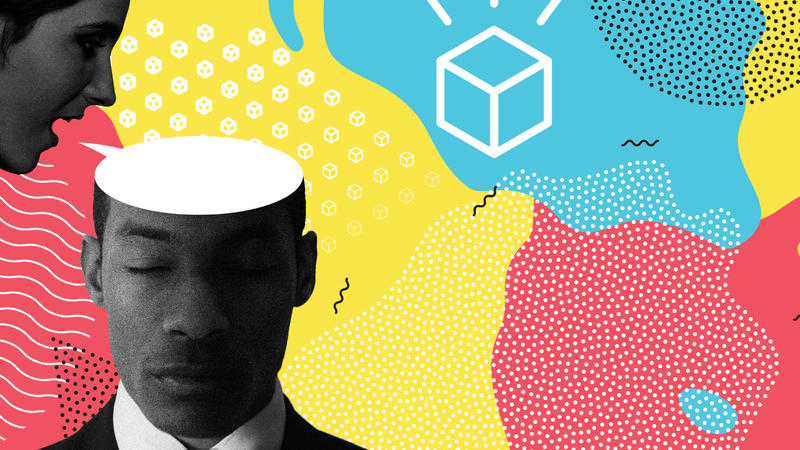 Product ideation with selected customers through initial focus groups or discovery conversations can potentially serve as some of your initial grassroots marketing, especially for B2B companies. The same goes for any “coming soon” sign-up links. new product or enhancement that isn’t sure to come. Because of the level of uncertainty at this point about what product will be released—and what form it will take—some companies may choose to keep initial discovery conversations confidential. They’ll perform surveys without revealing their brand and not market at all until they know more. Once you’ve obtained feedback from customers, it’s important to have a framework for maintaining and prioritizing feedback. It may not feel like it, but rejection at this point is great. This is the stage where you want to receive major feedback! There is so much value in getting input during your early stages of innovation, before product development. That being said, keep in mind your mission, vision, goals, and target customers. Be sure to align new ideas to the values of your company. You cannot, and should not, say “yes” to everything. You cannot please everyone, but you should be pleasing somebody. The products you choose to develop further and the customers you choose to target (those who seem to have promising marketplace potential) should all align to your overarching company goals. Get to know your customers iteratively from product strategy (high-level) through product development (detailed). 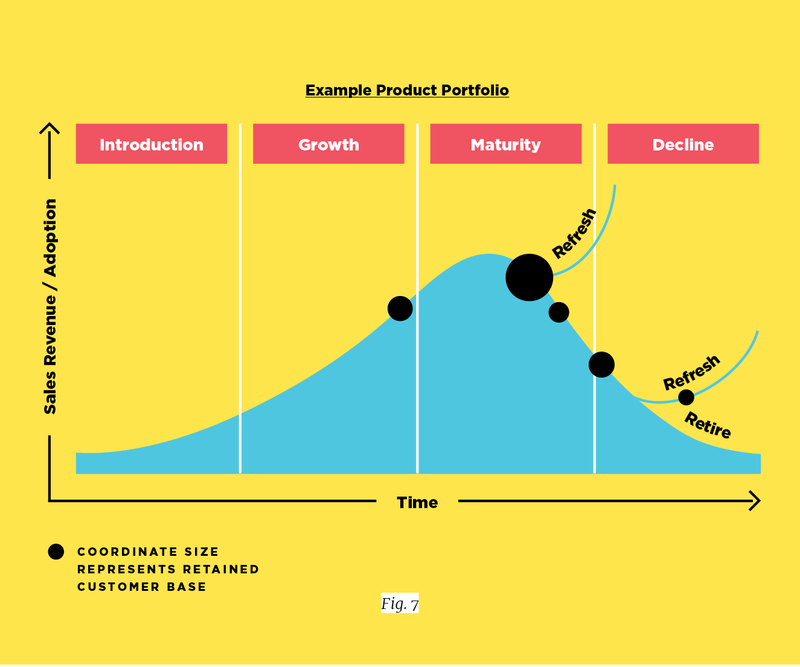 You’ll want to have a firm understanding before you launch in product operations, and later you will revisit these strategy and development functions during the lifecycle of your product as managed by portfolio management. When you’re ready to progress into the development phase, scoping and planning activities begin to effectively build the product and prepare for product launch. Firm up your prelaunch hypothesized target customer personas and segments. First, create proposed “light” personas, expanding from your original hypotheses. Stress-test your assumptions on their motivators and differentiators through target customer stakeholder interviews. Outline the skeleton of a product-level customer journey, and detail it, as well as the variances by persona, as you move in development. Depending on the kind of product you’re offering, you may also need to create product personas to represent the personalities of products that have communication interfaces with customers—from interactive chat bots to AI personal assistants. 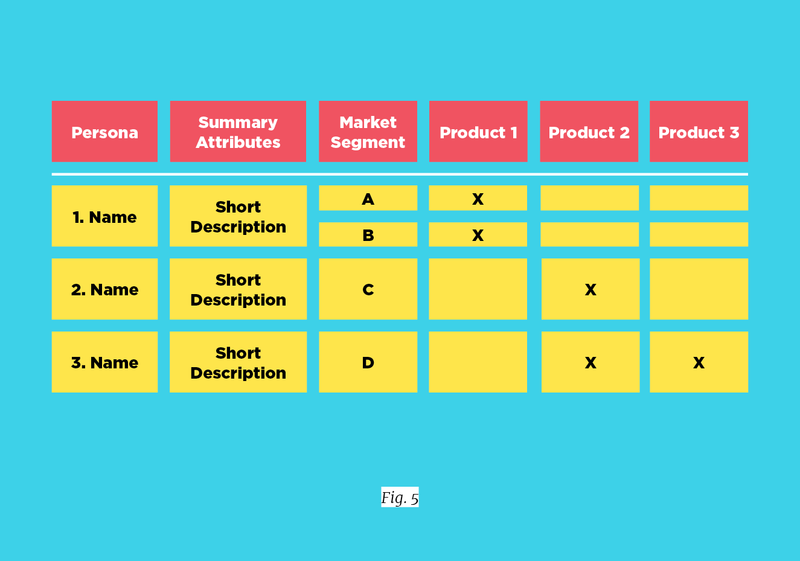 Note: If you are conceptualizing more than one highly varied product at a time (for example, for a new company, or new product line release), map your hypothesized customers’ segments and personas to their respective products. Work on this in parallel with the product portfolio management function. During various stages of development, perform product testing along the way. Depending on your product type and your industry, the method for this will vary. We’ve learned that engagement, early and often, from targeted samples or important customers may expose urgent issues just prior to launch or reduce the risk of surprises just after launch. Testing options could include the following: same-room focus groups, online testers recording their experience as they progress, getting reactions to the product packaging experience, concierge testing for digital products where you do everything manually, showcasing further developed MVPs and product demos at conferences, performing follow-up interviews with more detailed interview guides, giving first-look tours, providing special tasting events, or going on pre-sales road shows. The opportunities to test are endless, and the needs vary by product type, but the goal is the same. Finally, prior to product launch, we recommend completing one final sanity check with your target customers. You can accomplish this in a variety of ways, including testing quality or performance, testing manufactured consumer products, or customer acceptance testing (CAT) for technology products. For some B2B products, you may actually have to get CAT sign-off as part of your contract arrangements. In addition to communication that naturally occurs during customer testing, you should spend time strategizing your prelaunch marketing communications. Get your customers in the plane before takeoff, so to speak, with “coming soon” communications. your products with a showcased release date. You can even get a waiting list or contract with clients before you go live. Prepare your post-go-live launch communication plan, so you’re ready to strike with an end-to-end plan. When introducing new products to the market, you must meet your target customers where they are. Your product, along with your brand in general, must be strategically positioned to reach your desired audience so they can learn of your product and its value. Think about it: If target customers are not aware of your product, they will never have the opportunity to see its value, and your product will not get traction from the get-go. The further you progress in development, the harder it can be to process feedback without countering it with emotional bias. You may find yourself pretty invested at this point. Major feedback can be hard to swallow, especially feedback that would delay a launch. This is why creating a prioritized product roadmap is so important. When you make decisions, keep in mind that some feedback can be addressed through post-launch enhancements. Consider what elements of your product, if they’re unchanged, could derail long-term adoption because of, say, negative publicity. There’s an art and a science to balancing the desire to launch with every single piece of functionality working versus the ability to layer on functionality after an initial release. The art and the science depend on your product type and industry. Keep in mind special legal regulations, your competitive marketplace, and your customers’ expectations at initial launch. Based on feedback, you may find yourself adjusting your customer personas and segments during development. Again, the excuse of “we just haven’t found the right customer” can only be valid for so long. The closer you get to launch, the more you should be simply adjusting personas and segment attributes and exploring the nuances for their varying journeys versus coming up with entirely new customer bases. 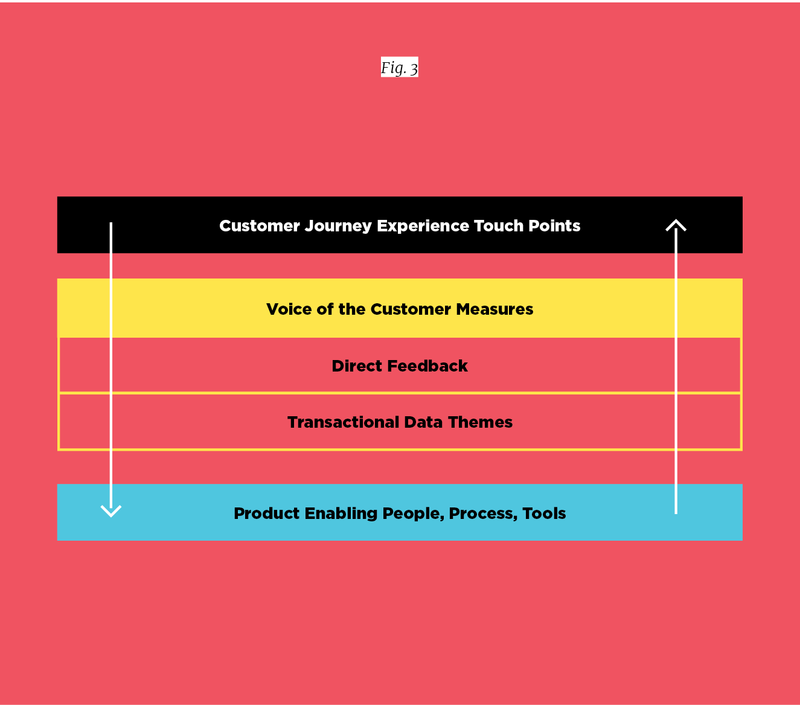 The customers’ voice, gathered through direct feedback and indirect transactional measures, provides feedback to CX and product teams to improve the product, enabling people, process, and tools. Ready, set, launch! Now that your product has been introduced to the marketplace, it’s time to continue engaging your customers. This can be a make-or-break moment for your product, so engaging your customers is vital. Ongoing customer feedback helps prioritize product enhancements throughout the remainder of the product lifecycle (growth, maturity, reinvestment, and retirement). 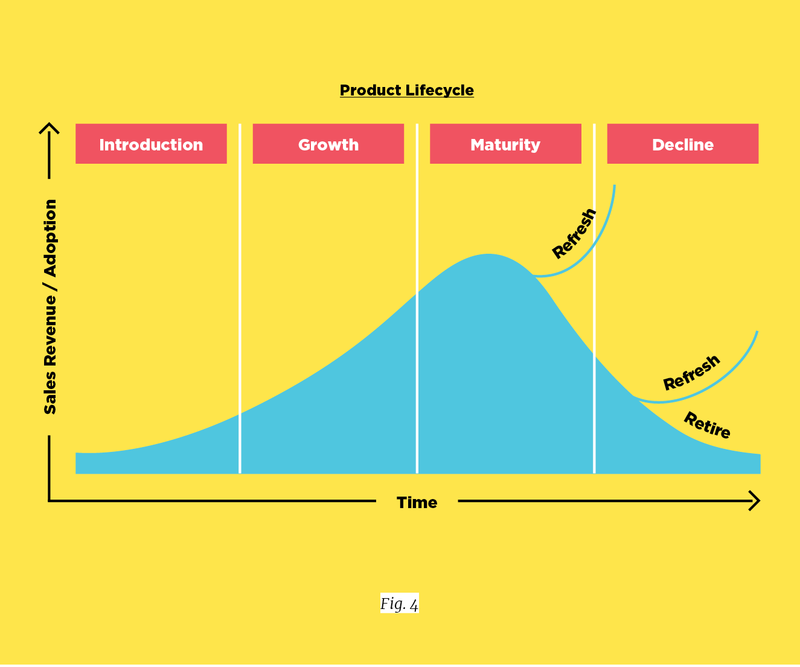 Product lifecycle; the Y-axis represents sales/adoption while the X-axis represents time. It’s launch time! But…maybe just a small launch. Consider using beta releases or piloting with a small customer set before moving forward with a fully public release. This lets you leverage the excitement and loyalty of early adopters to smooth out remaining kinks in your product, before you scale to customers who may not have the same level of patience. Once you launch, ensure that you’ve operationalized a way to capture the voice of your customer so you’ll hear about defects, ideas for enhancements, and suggestions for new products (see the product strategy function). CX and product teams. Determine how you will track and use transactional metrics and the quantitative and qualitative feedback you get from survey data. For the product operation function, we are talking about this at the product level. We’ll touch on cross-product management in the portfolio management wrapper section. Don’t assume you are done with your persona and journey work. Use your journey framework to categorically track feedback against journey stages. Update your baseline journey as needed to account for product changes. Plan on revisiting product strategy and development steps when you need to consider product refreshes. This might include revalidating your customers, which could reveal shifts in your customer base (i.e., changed persona attributes, including their demographics, desires, motivators and expectations), especially for long-term products. Get your customers in the plane before takeoff, so to speak, with “coming soon” communications. Congrats! It’s time to implement the launch marketing and communications you’ve already planned. However, keep in mind that customer communication does not stop at product launch. From enhancements, to sharing events and sales, to thanking your customers, and simply showcasing your brand—ongoing communications are key to staying relevant. Communicate major feature enhancements to the customer early. Follow-on communication should support adoption. Some companies even have public-facing roadmaps, like Spotify’s Trello (a web-based Kanban project management) board, which reveals its new feature pipeline. company, clearly has its customers front of mind when releasing new features. The company offers photographers a simple-to-use tool to engage their clients, originally by simply offering proofing galleries. Over time, they expanded their product features to invoicing, contracting, online ordering, and more. With each new feature, Shootproof communicates early when a new feature is “coming soon,” describes the value the features will bring, and provides easy-to-understand how-to guides. Treat your customer relationships like any other; nurture these relationships through ongoing communications. Don’t overwhelm your customers, but keep them up to date on events, flash sales, giveaways, tips, or anything that would bring them joy. Continue to represent your brand appropriately along the way, keeping in mind the customer personas to whom you are trying to speak. What visuals, messaging, and channels will best reach and create positive reactions from your target customers? After you launch and throughout the lifetime of your product, check in on customer feedback to understand what is going well, what features are not being used, and what is driving frustration. Consider what you can do quickly to solve pressing issues and how you can support an operationally nimble release schedule for providing timely product updates. In this day and age, it’s vital to have a plan for addressing public feedback on social media channels. How will you address concerns, not only by showing empathy, but also by providing customer issue-specific solutions or making customer-wide changes? How will your company promote and thank customers who show appreciation in their comments on relevant posts, or those who create a social media post entirely about your product, showing it in a positive light? 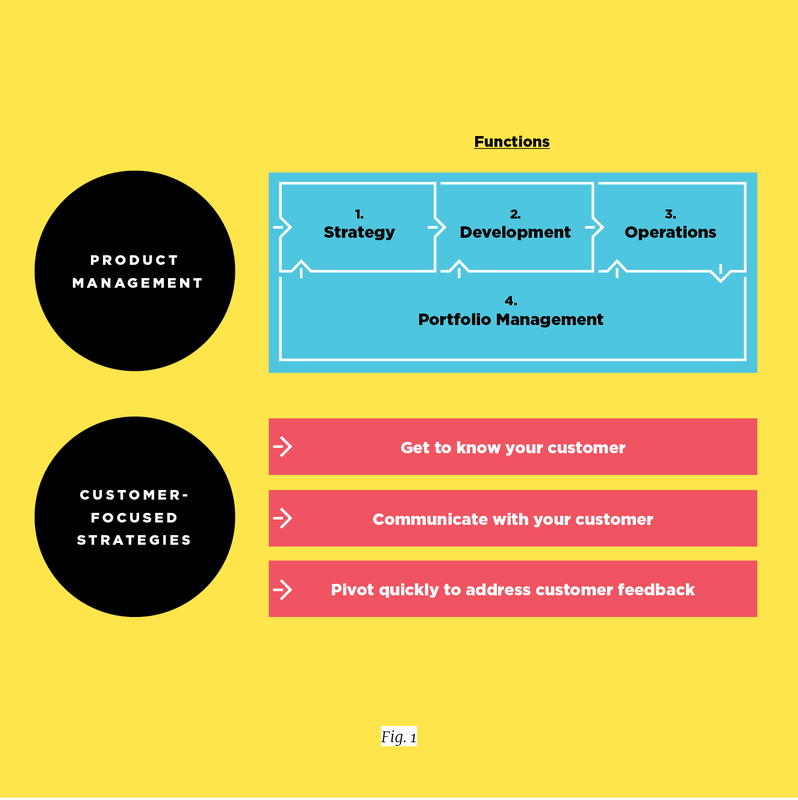 Funnel up into portfolio management higher level considerations like approaching product roadmap and sunset decisions that need to be made at the portfolio level. As mentioned, portfolio management is the wrapper around the product life cycle. It’s about managing a portfolio of products through ongoing analysis of product performance, prioritizing efforts between products within the portfolio, reviewing new product ideas, and ensuring that resources (financial and human capital) are properly aligned to products. Government efforts exist throughout the product life cycle to ensure that products and portfolios are aligned and moving toward the strategic objectives. At the portfolio level, it’s important to realize that you may be trying to reach different customer personas or segments for each product. At the same time, you must strive to understand your holistic customer view. One way to accomplish this is by mapping your customer segments and personas to each product line. 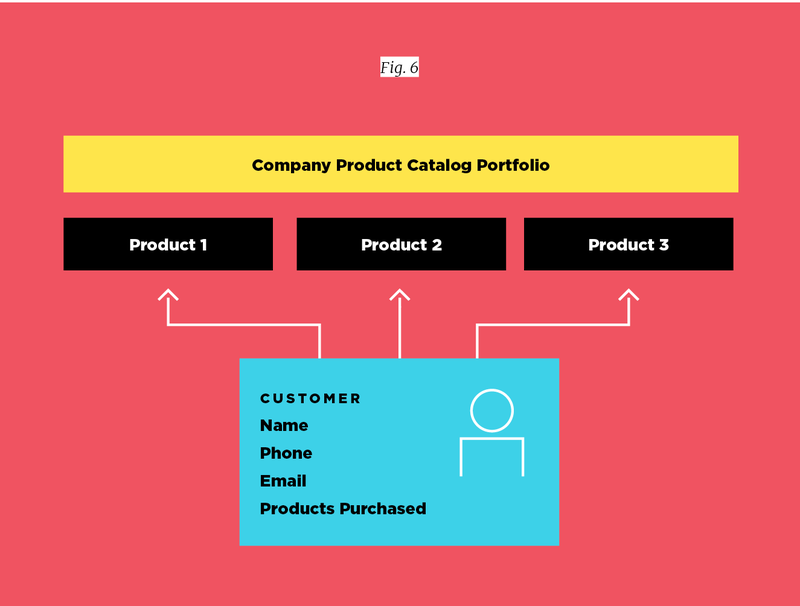 This can help you understand what cross-portfolio product a customer may be interested in hearing about, and what customer groups you should cater a product to. Perform product to target customer mapping across product lines. Wherever possible—and this can be a struggle with legacy systems from acquired companies, or companies operating in siloed product arms—you should create a single view of the customer across all products. This helps you understand your customers holistically, across all their touch points with your company. It also sets you up to successfully deliver a consistent experience across your product brands when you communicate with your customer. Ideally, your company has one view of the customer across its product catalog portfolio. If you find you’re targeting clearly differentiated personas per product, consider brand alignment. How are you going to represent your products and branding in the marketplace to best hit your target customers and stay true to the personas you are trying to target? Will you be one cohesive company? Or will you be seen as an umbrella company with varying brands, product lines, or sub-companies? How transparent will you be about these product line brand relationships? For example, if you are you going to represent yourself as one company with many products, will these be communicated and marketed from one website and one social media handle? Or are you going to position yourself in the marketplace as an umbrella company, perhaps with its own main site and handle, but also with individual websites and social handles for each product line brand? Decide up front how you will position and represent yourself in the marketplace, what product persona you’ll use, and how you will communicate appropriately to your targeted customers and consumers across your portfolio. What products are doing well versus others? During the product lifecyle, it may be time to refresh a product or consider sunsetting it. Consider customer feedback—including comparing transactional feedback, such as declining purchasing or use—across your product portfolio. Also listen to the consistency of feedback across your portfolio, comparing one product to another. Are customers generally frustrated with lack of consistency across products? Is a product or product feature performing very well on one product that you can leverage on another product? Looking across your portfolio and considering product relevance trends, is it time to introduce a new product altogether? Product lifecycle example of a potential disappearing act; coordinate size represents retained customer base. Let’s look at an example company’s products, in Figure 7, layered onto the product lifecycle framework we introduced with Figure 4. Most of the products from this organization are losing relevance with its customers. It’s important to understand whether its core business is part of an overarching decline, or whether its products are not valuable anymore. It’s important to leverage these customer insights to guide where to invest. Launching new products may be vital to existence; if this company is not careful, it may end here. From each function of the product lifecycle, and during portfolio management, we’ve illustrated how important it is to consider the customer. You must get to know your customer. Research customers externally, review their data internally, receive direct feedback, perform surveys and interviews, conduct focus groups, and analyze the story of transactional data. You must communicate and market to your entire base of customers (beyond strategic interviews and focus groups), with an intentionally promoted launch, and by nurturing an ongoing relationship. Finally, you must pivot quickly to your customer’s reactions, suggestions, feedback, ideas, and your analytical findings from your transactional data. You must be nimble about making and announcing changes to ensure that they’re adopted. Show appreciation and respond to individual issues, while planning customer-wide improvements as needed. Keeping your customer in mind at every step of the way, by partnering CX strategy with product, will help you create relevant and delightful products.